Suffering through a headache is one of the most frustrating things you can experience in a day. You feel as if your head is trapped in a vice and being squeezed. Headache symptoms are really inconvenient and disruptive to everyday life. They can hinder even the most simple tasks, such as taking a trip to the grocery store. Abarr Lake Chiropractic in Loveland doesn’t want you to suffer anymore. 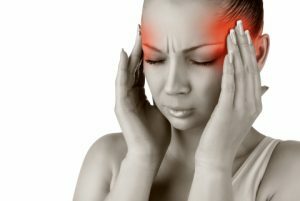 Many people are unaware that chiropractic treatment can eliminate headache symptoms. The symptoms can vary in degree and placement. Some people experience headaches throughout their whole head, in a pounding-like sensation; others only in one part of their heads with a distinct focus of discomfort. Not only does a headache vary in degrees, but also in how long it will affect you. Chiropractic treatments have been shown to help you with this type of ailment. A lot of the pain we endure is said to be because of the alignment in our bodies, especially in the spine and neck. Adjusting this part of the body with professional chiropractic treatment can do wonders. In most cases, will target the two upper cervical vertebrates in the spine towards the neck. Chiropractic treatment can significantly improve symptoms from most types of headaches. Not only does this help, but diet and stress level can have an impact as well. Eating healthy and reducing stress are things that you can do at home in addition to the chiropractic treatment. So if headaches are a nuisance in your life and you want them to stop affecting you, call Abarr Lake Chiropractic in Loveland. We have a professional, warm, and skilled staff to help you feel like your best self. So, stop letting your head pound and contact the experts.